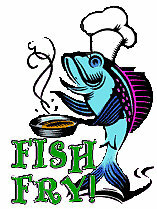 Our final Lenten Fish Fry & Bake is this Friday, April 4, serving 5 pm-8 pm in the Friends & Family Hall. Please also help us promote this event. You can share this story on your Facebook page. Send a link to your neighbors. Tom Stoffel has advertised for help. “We need many hands for setting up, cooking, serving, selling tickets, busing tables, keeping refreshments filled, serving wine, and cleanup & tear down. Especially cleanup!” he said. Tom advised that the Knights and Catholic Daughters get started at 2:30 pm. They could use many helpers to unload supplies, set up the kitchen, start preparing for cooking, and to set up the hall for dining. Can’t help with prep and setup? There is much left to be done and you can help cook. You just need your apron and a big smile. Yes, it is hard work, but you’ll have fun, too. From 5 – 8 pm, Knights are needed to serve, sell tickets, bus tables, and serve beverages. Tom wanted you to know that he also needs needs help with cleanup and tear down for about an hour starting at 8 pm. If you can help, please email to Tom Stoffel at tstoffel@bellsouth.net, or call him at 919-360-3846. Where were you last Friday? 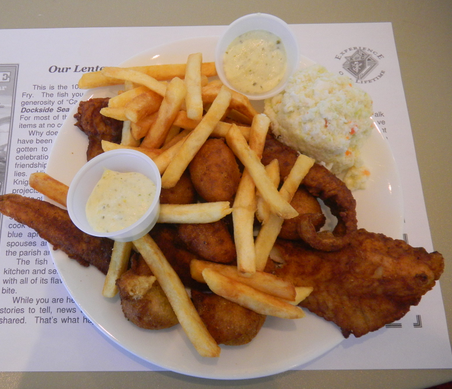 It was a Lenten Friday and we do hope that you were enjoying a fish dinner with your family and friends. At St. Thomas More Church, the Knights of Columbus and Catholic Daughters were preparing and serving whiting fish for the parish. The customers came in to dine with us and some came in to pick up a take-out dinner for their family. If you missed it, you missed a delicious dinner. Remember that there is just one more dinner before Easter. Jerry is ready to fry fish or pull pig anytime! We are about to start up the fish fry pots to host another annual parish fish fry. Jerry is looking over his equipment, ordering fish and trimmings, and getting ready to go to work. 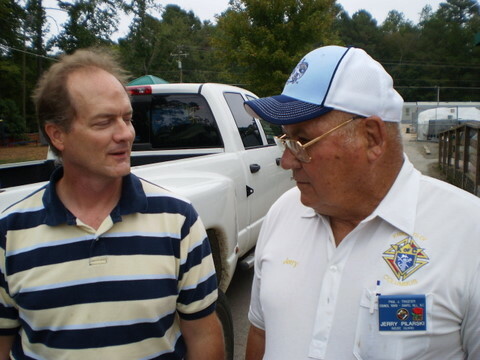 This year, Matt Raynor and Gene Keeling will lead the event so that Jerry can relax a little. The schedule is set for March 11 and 25. 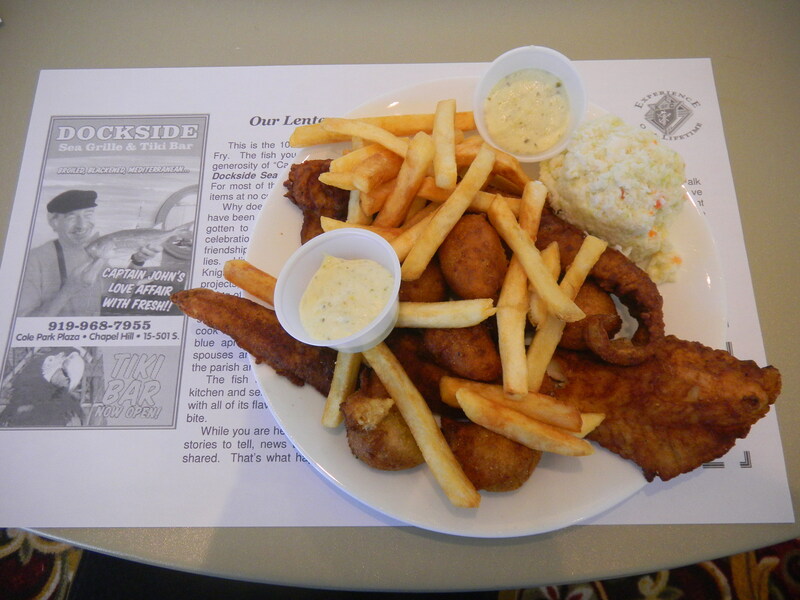 A third fish fry will be held on April 15th. We need everyone to come on by to help in the kitchen. There are a lot of things done behind the scenes. None are glamorous, especially defrosting hundreds of pounds of whitefish. Then there is the breading, sorting, storing, and cooker helper chores. There is a job for everyone.